WHRDIC supports many women human rights defenders who fight for women’s and girls’ sexual and reproductive rights, including the right to be free from female genital mutilation (FGM). Despite being banned by the United Nations, this harmful practice continues to affect over 100 million women worldwide. With almost four out of every five women in The Gambia experiencing FGM, it is a brave woman indeed who would campaign against such an established practice. Dr. Isatou Touray, co-founder and executive director of Gambia Committee on Traditional Practices (GAMCOTRAP), is committed to ‘knife-dropping’, or ending the brutal custom of FGM in her country. In alliance with other activists, she established GAMCOTRAP in 1984 to to protect the sexual and reproductive health rights of women and children in The Gambia against such practices as FGM, early and forced marriage, and violence against women. The organisation’s inspiring training sessions for women, circumcision practitioners, and community and religious leaders, have left many participants with a new understanding of FGM and a resolve to discontinue the practice. GAMCOTRAP frequently calls on politicians to outlaw FGM, and is active in the media, despite Government restrictions on media reporting of FGM. The organisation also runs conferences and events on the topic. One of the most significant of these was the bringing together of religious leaders and medical personnel at a symposium in 1998. The result was the landmark Banjul Declaration, in which attendees condemned the use of religion to justify FGM. This important event was one of the early international declarations on FGM. This work of GAMCOTRAP has resulted in over 100 practitioners of circumcision abandoning the practice, while helping women’s issues to be heard in public, and changing community attitudes towards FGM. These successes have come at a price for Dr Touray, who has long been targeted for her work. She had to resign from her position as Deputy Director General of The Management Development Institute, where she had established a gender and development unit, after receiving repeated warnings from authorities about her gender equality advocacy. She has twice been accused on false charges, both of which were eventually dropped. The second of these times she was imprisoned and only released after paying an exorbitant bail of 36,000 euros. This harassment is all too common in The Gambia, where human rights defenders have been intimidated, detained, sentenced to death, or disappeared. 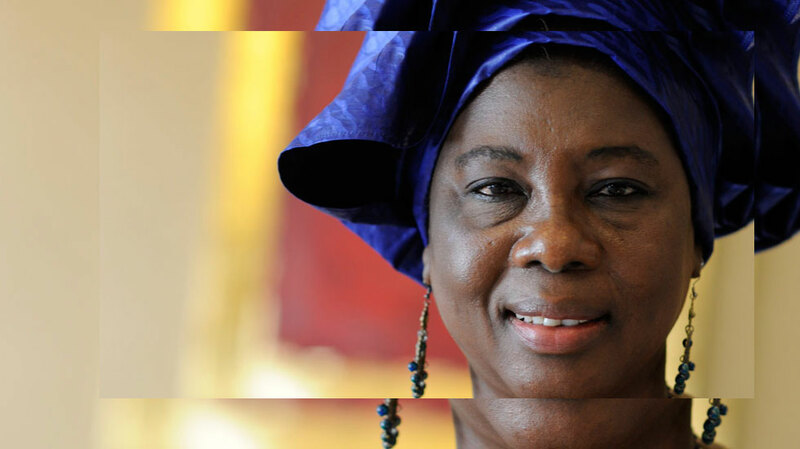 Women Human Rights Defenders, such as Dr Touray, are perceived as particularly challenging to the status quo, and are systematically targeted in order to discredit and silence them. Several WHRDs have been imprisoned, and President Jammeh has stated that he can not personally guarantee the safety of anti-FGM activists. Despite these threats, Dr Touray continues her vital work, fighting for women’s health and human rights in a society that decrees most women second-class citizens. Dr. Touray has been recognised with a number of awards, including 2008 ‘Gambian of the Year’, the 2008 US Ambassadorial Prize for ‘International Woman of Courage’, and the 2011 FAMEDEV Gender Award.